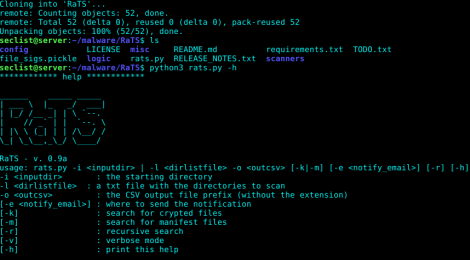 Browse: Home / RaTS – Ransomware Traces Scanner. 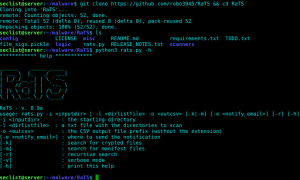 RaTS does not prevent the Ransomware to do its bad work, but it can help to find evidences of the existence of Ransomware in your environment (filesystems). 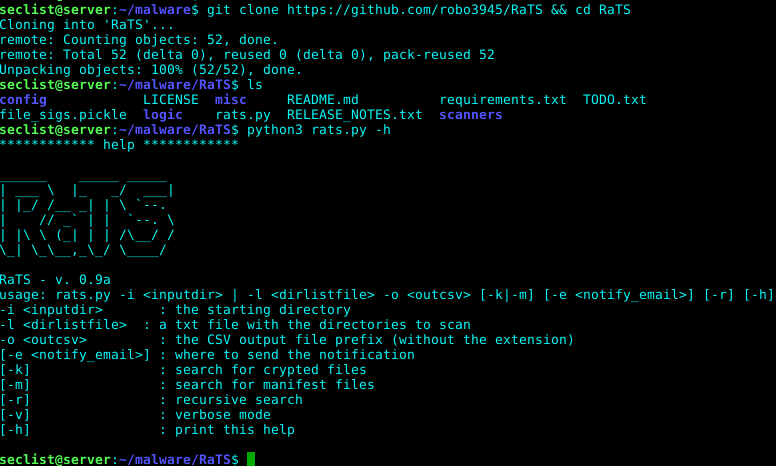 RaTS is especially useful to periodically monitoring network share or external drive to find evidences of the presence of Ransomware. You can configure it as a batch task in a client machine, but the way it works does not fit very well with this use case. ← NtdsAudit – An Active Directory security audit utility.